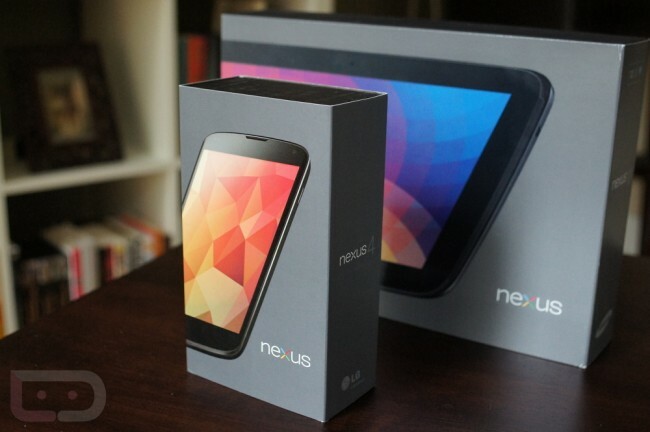 With the LG Nexus 4 and Samsung Nexus 10 now in hand, and a day before they both go on sale, we thought we should take you on a live tour of each, just in case you were still deciding whether or not you should buy these devices. I haven’t even had a chance to open them yet, so together, live, we’ll walk through an unboxing and a brief tour, field some questions, and have fun. We’ll begin at 12:15 Pacific. Don’t worry if you miss it though, as the Hangout will be recorded and posted immediately to YouTube.